What is the Student Exchange Programmes? This is EdUHK’s well-established exchange initiative, which enables our students to study at one of our partner institutions, and vice versa. EdUHK students can go on exchange for one semester if they participate in the programme. Full-time undergraduate students at EdUHK who are currently studying either a government-funded or self-funded programme. Further details on eligibility can be found here. I am a postgraduate student. Can I apply? The exchange programme organised by the Global Affairs Office (GAO) is for undergraduate students only. For postgraduate students, please contact Graduate School or major departments regarding the overseas opportunity. Do I need to pay tuition fees to EdUHK when I go on exchange? Apart from that, are there other fees? Under the exchange agreement, tuition is paid to one's home institution, and that for the host institution is waived. That means you need to pay tuition fee to EdUHK during your exchange semester while you do not pay tuition fee to your host institution. Besides, participants are responsible for visa fee, accommodation, airfares, etc.. The actual expenses vary, depending on study destination and spending habits. Please refer to Budget and Finance for more information. Does EdUHK or the EdUHK Global Affairs Office provide any support? The University offers various kinds of financial assistance (e.g. Global Learning Enhancement Fund (GLEF), scholarships and bursaries) for eligible outbound exchange students. Some partner institutions may also provide additional subsidy funded by Ministry of Education to students with Hong Kong citizenship. Please refer to here for details of financial aid and scholarships. The EdUHK Global Affairs Office also conducts pre-departure briefings and gives appropriate guidance to successful applicants. Students normally submit their applications to EdUHK Global Affairs Office about a year ahead of their preferred exchange period. 1st application round opens from Nov to Jan next year. In some cases, an additional round of recruitment might be available at the beginning of the academic year for an exchange in the second semester. Please watch out for the latest updates from our office. Can I go on exchange during the summer (June to August)? The SEP is regular student exchanges during semesters. However, our office also organises short-term or summer programmes. The duration and costs vary. Please click here for announcements on the availability of summer programmes overseas. For Short-term Programmes in the Greater China Region, please refer to here. Can I transfer the credits gained through the student exchange programme back to the EdUHK? 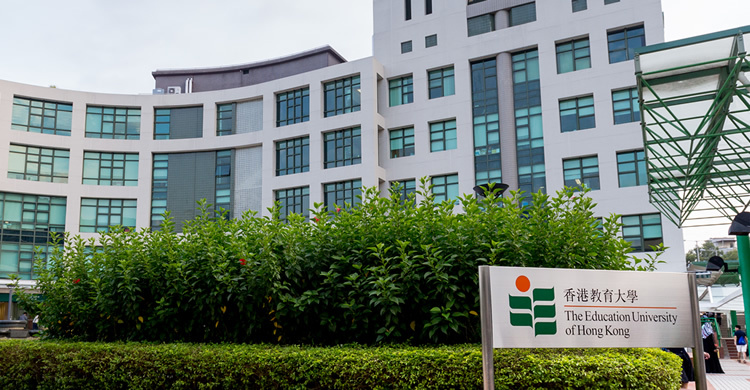 Students can follow the University’s Block Credit Transfer for Outbound Exchange Programmes to transfer credits earned at partner institutions. For details, please refer to the relevant website.